This study will evaluate the effectiveness of a self-management intervention that features the use of the self-management app to help people with spinal cord injury (SCI) attain self-selected goals and improve personal management of health. Participants will be asked to complete a series of questionnaires and, where applicable, two interviews over four data collection sessions. The intervention will involve multiple contacts and ongoing use of the mobile app. This will take place over the phone/skype or in person at a place convenient for you, within Metro Vancouver. Why you might like to participate: Most individuals with SCI develop secondary complications, and mobile applications for self-management have been shown to be effective in patients with other chronic health conditions, but have not been assessed for patients with SCI. 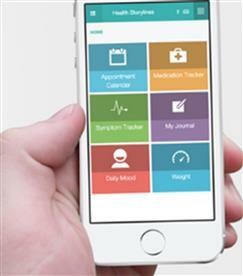 A mobile app could be an effective means of improving self-management skills in people with SCI. Time commitment: Data collection will take between 5.5-7.5 hours and additional app usage will take between 10 to 60 hours. Compensation for participation: $100 ($20/session) in recognition of your time contributed. Study will take place: Over the phone/skype or in person at any place in Metro Vancouver that is convenient for you.